Marilyn Irene Hanson was born on December 2, 1937 to Glen W. and Frances I. (Funk) Stafford. 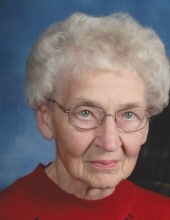 She attended many country schools and graduated from Burlington High School in 1955. Marilyn earned a Bachelor’s Degree from the University of Northern Iowa in 1959 and a Master’s Degree from the University of Iowa in 1960. She taught mathematics at Ames High School for 46 years. Marilyn was also involved in Roland with service clubs and volunteered in a Mathematics Study Center at Ames High School and Roland-Story. Marilyn passed away September 3, 2018 at Bethany Manor in Story City at the age of 80. Marilyn married Jim Hanson on October 10, 1965. She is survived by her two sons, James (Anita) of Killeen, Texas and Richard (Elena) of Redfield, Iowa; two granddaughters, Jessica (Lanaki) Wong and Sarah; two great grandchildren, Renea and Izrael and two brothers, Ronald of Burlington and Gene of Sperry. She was preceded in death by her parents and her husband, Jim. Memorials may be made to Bergen Lutheran Church, American Cancer Society or the Ames High School Mathematics Department. To send flowers or a remembrance gift to the family of Marilyn Irene Hanson, please visit our Tribute Store. "Email Address" would like to share the life celebration of Marilyn Irene Hanson. Click on the "link" to go to share a favorite memory or leave a condolence message for the family.